OK, the title is a little dramatic. But there is truth to this. 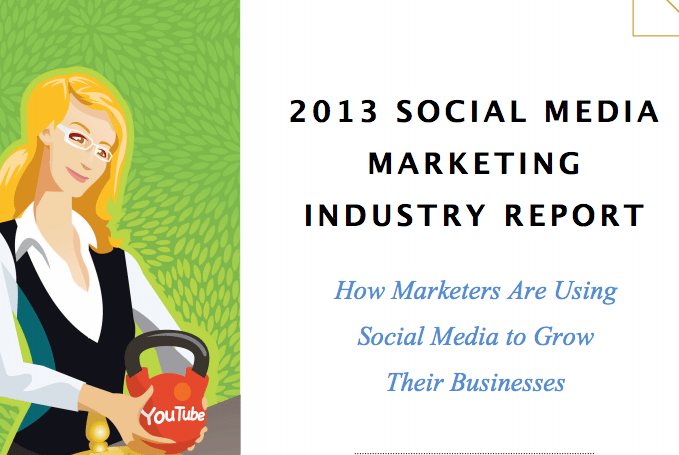 Late last week, the 2013 Social Media Industry Report was released by Michael Stelzner of Social Media Examiner. The insightful, and sometimes surprising, 43-page report is packed with trends and statistics based on a 3,000-marketer survey that focuses squarely on the social media platforms commonly used in real estate marketing. It’s quite clear that social media is still one of the most popular areas of marketing that businesses consider, but what is even more obvious is that most marketers are still quite overwhelmed AND confused with the number of platforms. They still are very unsure about how to use them, even though the list of platforms keeps growing. 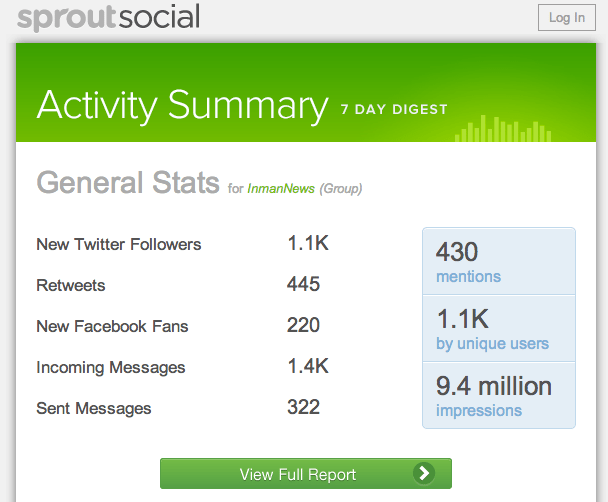 So what do these numbers and insights tell us about how we in real estate approach social media? 90 percent of marketers still want to know which tactics work best. 88 percent of marketers would like to know how best to reach and engage their audience. 83 percent of marketers are thinking of social media differently. They are thinking about how it fits (under the larger umbrella called “marketing”) into their business by creating a social strategy. Only 26 percent of marketers are measuring their social media activities. Only 37 percent of marketers think Facebook is effective in their marketing, yet it is overwhelmingly the No. 1 platform of choice. Only 26 percent of marketers are optimized for mobile. Most of these numbers translate to the constant changes and confusion in social media, the pull of the distraction and noise, and lack of real understanding of how much time and energy social media should be part of your marketing playbook. So, without going too deep, here are some main things to keep your focus on when defining your social strategy for real estate. What goals are you trying to achieve? Grow your database? Strengthen your relationships? Drive traffic to your blog? All of the above? No. 1 – Know what your goals are. Whether you are a seasoned marketer or just entering the social media playing field, spend some time figuring out what you want to get out of social media. Be truthful here. Take your ego and personal playtime out of it. Your business and your personal life on social media can easily blend and distract you from your real goals, so it’s important to know where you are spending your time, and what tactics work to earn you more business. If your glowing personality and photography hobby is getting you business, then you know you have a strength to grow. Set aside the time to spend on BUSINESS and on personal time. Keep them separate to not distract you from measuring what works. Time block during the day — business/personal. For example, if your goal is to use Facebook to drive more traffic and leads to your blog, your No. 1 tactic should be to make sure you are blogging. Facebook is the TOOL, not the strategy. Know the difference. No. 2 – Build where you can be your best brand. Keep an open mind to change. 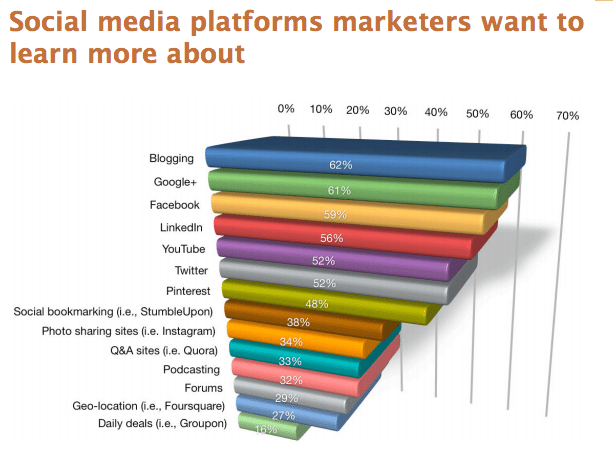 Social media platforms vary in popularity with different audiences. It takes a bit of thought to understand how your brand can best market itself on the right platforms. Let’s face it, you can’t be everywhere. But if you understand your values as a brand, have created several “buyer personas” that help you target your ideal client and know what your budget of TIME and MONEY is, you can narrow down the top three platforms that “enhance” your brand. Note, I said “enhance.” If you can’t be on a platform, and do it consistently well against your local competitors, figure out which ones you will choose to focus on. Understand your learning curve if you have one; leverage expert advice if you need it; and focus on doing it well. (Facebook is VERY crowded and noisy — is your brand better off working a different corner? Is your brand resonating on Twitter? Tools like Twyla.com can help. Social media tools are constantly changing, as are the consumers who interact with them. Real estate consumers are hungry for information and have plenty of places to find it. Be watchful of these trends, not the ones of those you compete with in the industry. It’s very common as an industry to follow our crowd of opinions and do something because someone said it was a groundbreaking new technology, or suddenly everyone started doing it, or a report came out saying all the popular people in the industry were doing it. These are NOT the metrics upon which to decide a social media or marketing strategy. Be cautious; be analytical; try new things; have fun; be yourself; build your brand voice; and measure your success! Have some tips or thoughts? Please share your comments.